The Ultimate Solution for In Wall Cable Entry! 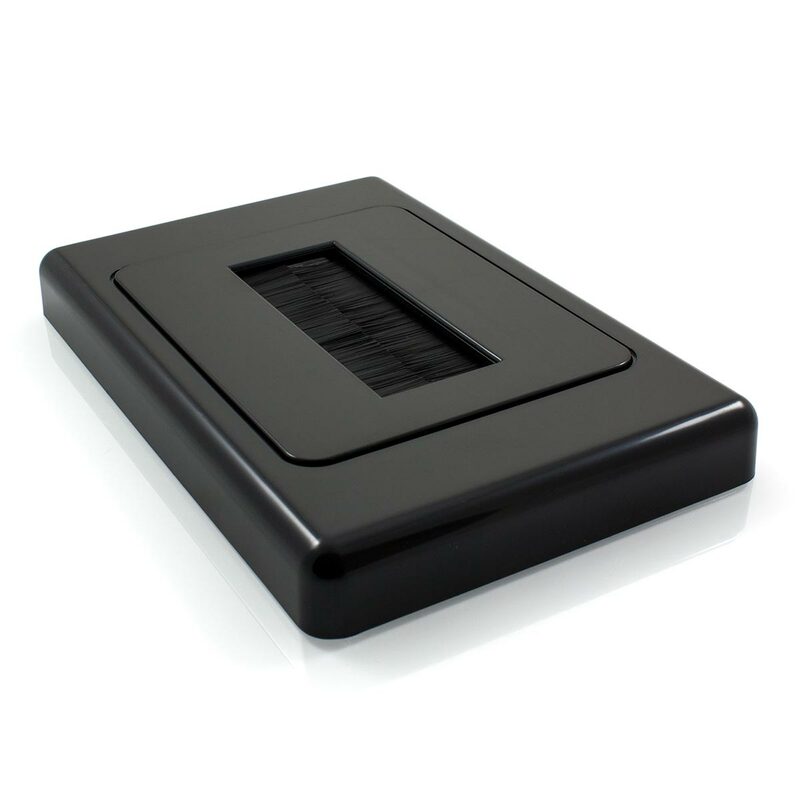 This Brush Wall Plate features a design that will facilitate and manage a large range of cabling requirements. 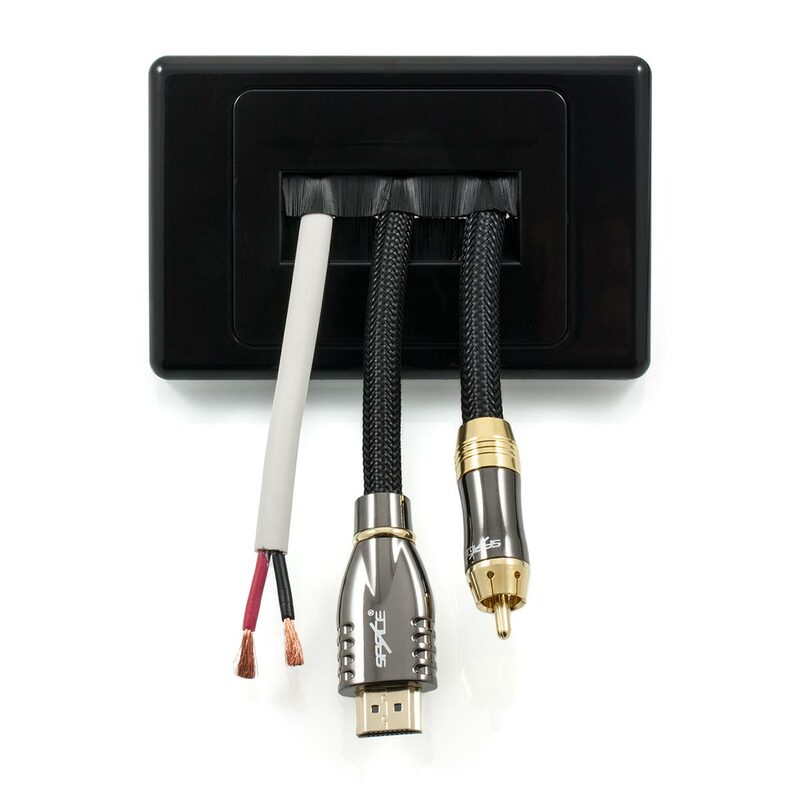 The unique brush entry point provides ample room for a number of cables to enter into the room directly from within the wall cavity. 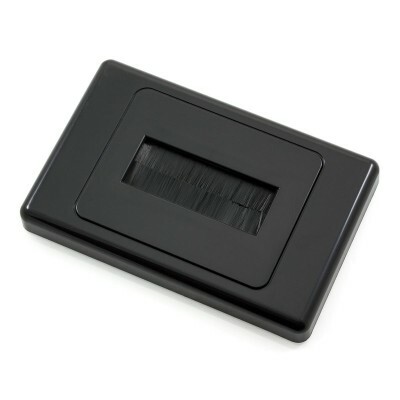 As there are no connectors present on this wall plate, this eliminates the need to search for a custom wall plate solution. 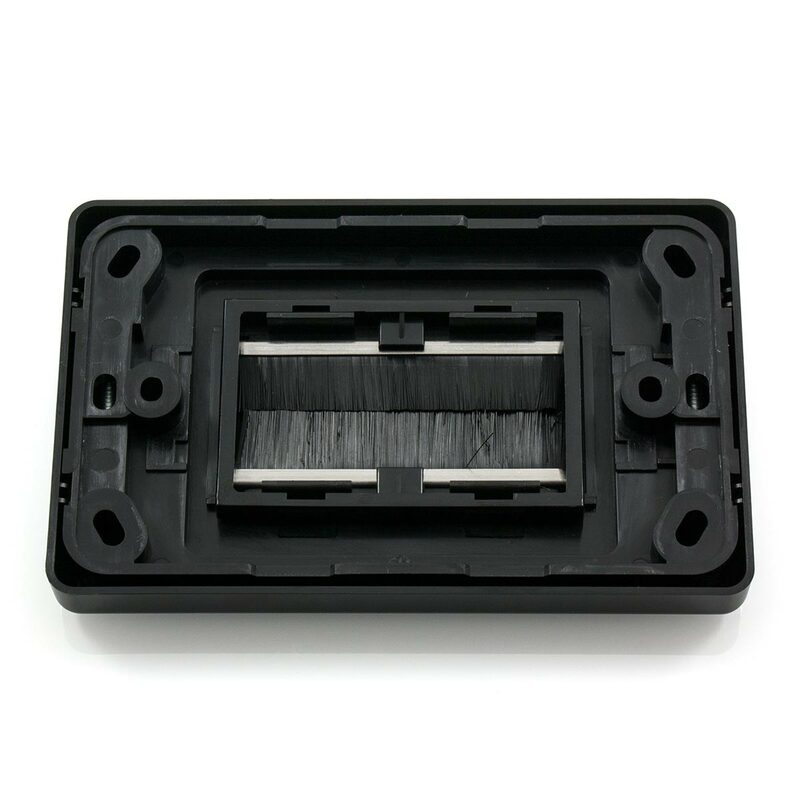 This also means that each cable will be able to pass directly through the brush opening without the requirement for extra joins and connectors, which in turn will ensure that the highest quality audio and video signal is maintained. The brush design provides a barrier that will serve to prevent dust and other unwanted particles entering the room. The high gloss black finish of this wall plate coupled with the low profile form factor will ensure that the end result is simply superb.